Ubisoft has officially revealed Rainbow Six Siege’s first Year 4 DLC: Burnt Horizon. Following the not-so-subtle tease last week, the developer has gone ahead and confirmed the name, and setting of the next Rainbow Six Siege content update. 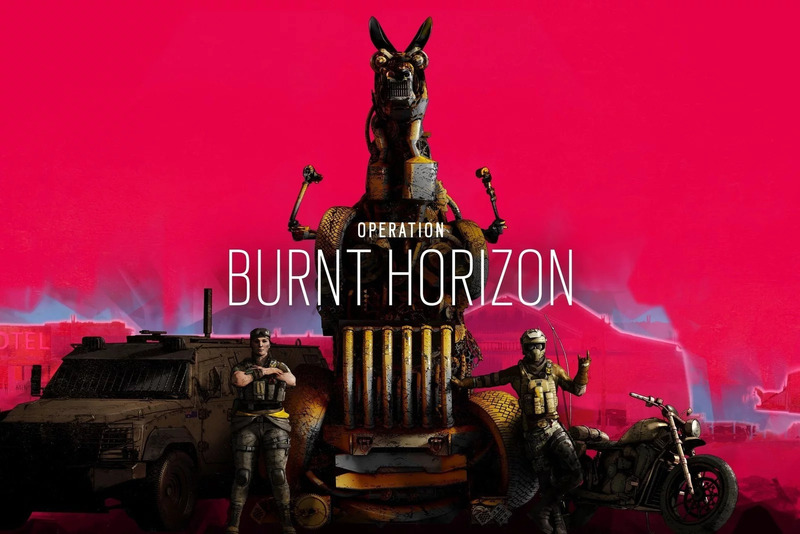 Operation Burnt Horizon brings two new Australian operators to the game, and adds a new map set in a service station in Australia’s red desert. The new operators, one attacker and another defender, hail from the country’s SASR. Though Ubisoft left out many details about their roles, it did tease that the attacker has access to a device that’ll “keep roaming defenders on their toes.” The defender, on the other hand, has a trick that’ll “leave Attackers at a bit of a loss.” It’s all very cryptic, as we’ve come to expect from these early reveals. The two new operators will be first showcased on Sunday, February 17 at the end of the Six Invitational. This is also when we’re likely going to get a release date. Until then, Ubisoft will surely unveil tiny bits of detail about the new characters to keep us busy. The post Operation Burnt Horizon is Rainbow Six Siege’s next DLC appeared first on VG247.